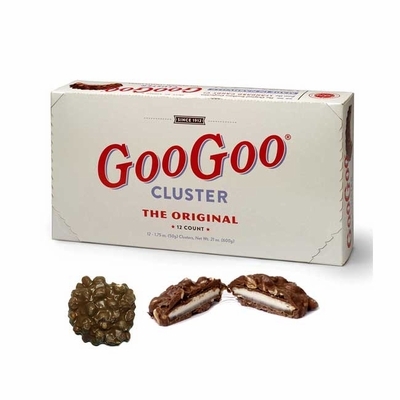 Delicious Goo Goo Clusters. There are 12, 1.75oz wrapped candy bars per box. Real milk chocolate, peanuts, caramel and marshmallow.